We are cutting edge Website developers dedicated to the design innovative Websites for small, medium and large sized businesses and professionals. Our carefully planned designs are tailored to fit your unique business needs and delivered on time, to your specifications. Whether you are looking for a complete e-commerce site, or one that is strictly information based we can develop it for you. Be it personalization, navigation or content structure, our understanding of the dynamics of the Website help us to deliver the best in the industry. 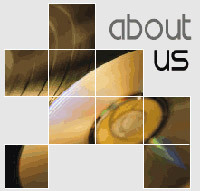 We are dedicated to producing a truly unique and innovative Website for you that is not only affordable, but will provide ongoing customer service and support when you need it. Proper understanding of client's requirements combined with technical expertise helps Savit Interactive to deliver quality output on time. 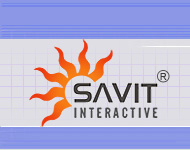 Services of Savit Interactive includes Web Hosting and Web space allocation, Web site Development & Maintenance, Search Engine optimization, Search engine submission, E-commerce Websites, Corporate Presentations, Interactive Solutions, Animations, graphics, E-brochure, E-Catalogue, Multimedia and Product Presentations.